here's a closer look...35599 - Adjustable Ball Joint - Ingalls Engineering Co., Inc.
do you have the old or new version.. i had these ball joint camber kits and they got me my camber back but the only downside is they kept banging on the shock tower. Ingalls and SPC are the way to go when working with camber.. Damn, haha. How low are yo dropped? And Im actually confused on something if you guys can help me, what's the difference from a "ball joint camber kit" and a regular "camber kit"? My car is lowered on cut springs..fixing to get new coilovers, but just waiting to align until I have everything. i'm at the point where the tops of my tires are tucked but not enough to effect handling or hit the wells...3 inch drop maybe? 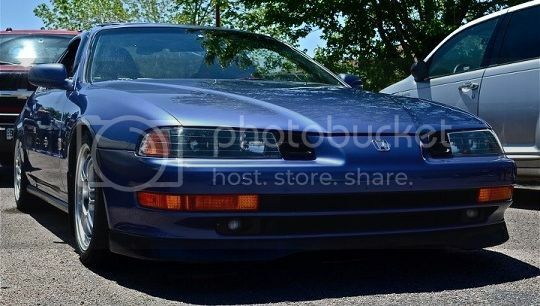 Nice, your lude looks good. Where did you find your camber kit at? aight cool cool, did you just adjust the balljoints yourself so it wont be as negative? or could an alignment shop do that as well? Ahh I gotcha, but alignment shops will do everything though. Cause I hate messing up my car haha. They should adjust the ball joints and the alignment together shouldn't they? i've been looking at the ingalls for about 2 months now, and its good to hear that you had a great experience with it, and that it was easy to do. "Honda civics are like tampons, every pu55y's got one"
i got my tie rod ends (includes lower ball joints for front) from auto-zone, same with the rack and pinion boots. very satisfied with their products, check it out! Hey, I just read this and I've got to tell people who are going to purchase these in the future that alignment shops will NOT automatically adjust your adjustable ball joints when you take the car in. Most alignment shops are all computer-automated and all they have to do is either enter the VIN number or the make, model and year of the car to find out what needs to be done. Then the computer will take the measurements of the car's specs beforehand, then actually TELL the technician where to move what. The computers will know that the Prelude came with non-adjustable ball joints so even if it knows the ball joints are out of spec, the technician is not going to care and just leave it "as good as he can get it" Then he'll take the car off the lift, print out your spec sheet and give you the bill. You have to TELL the technician before he starts that your car has adjustable ball joints and that you do want them adjusted BEFORE they start. Also, chances are high that the shop will charge you a little bit extra since it's an extra service (+extra time spent) to adjust them, but they will do it and it will be worth it. Just thought you all would like to know! Been searching ALL DAY for quality bj's !!! this thread sealed the deal, thanks. No problem. One downside is if you're real low and hit a nasty dip the top nut that adjusts the camber will hit the inside of the shock tower. Only happened twice to me though so watch for nasty dips/potholes!! Hey, thanks for the quick reply, im currently weighing my options, between these Ingalls, Mevotech, and whatever else comes up worth looking at.. I like the Mevotech's, cause they're re-greasable (some of them)..
Last edited by static420; 01-09-2012 at 04:59 AM. Are you looking for camber adjustability? The Ingall's offer positive camber adjustability while the Mevotech's you posted look to be fixed. Yes I will be requiring adjustability.. At some point i will slam that ish.. thats why i found these next.. that was just my first find..
but it all depends, if i can rely only on links for the right amount of camber, then ill do that and stay with a static bj. i dont want it looking stupid, function is paramount.. They look pretty good.. just wanted the opinion of someone who competes with their car..
Ive been searching and reading 2 days str8... and im still not done, i really wanna knock this aspect out the park..
sorry... i know its alot at once, but its ALL floating around my head atm..
Last edited by static420; 01-09-2012 at 03:20 PM. Yes, that is what im trying to figure out..
EDIT : so the bj's hit your strut tower ? any noticeable damage in the engine bay strut tower ? ill throw a patch of rubber in there, OR. Can I cut a tiny hole in the strut tower to let the piece stick through, or would water get in the engine bay and/or compromise the rigidity of the tower ? Last edited by static420; 01-09-2012 at 05:14 PM. It's just a minor dent in the wheel well and barely noticeable in the bay. I believe they make rubberized bump stops that fit in the wheel well where the uca may hit but they limit your shock travel. Only happened twice on very nasty dips so I don't think it's too big of an issue. Sounds good, as long as paint wont peel and all that... I'll make that sacrifice. Im compiling a hefty list of susp parts for review. Last edited by static420; 01-10-2012 at 12:44 AM. Hey elude, whats up ? I finally got the upper control arms and now i need to decide on Ingalls or Eibach bj. I've looked around in the service manuals and cant find what Im supposed to torque the control arm mounts to... I already know the 17's up top (those are clearly labelled in the manual) but I cant find the info for the 4 14mm bolts at the ends (highlighted in the picture). I was hoping u could shed light on if they need to be real tight or mounted at a specific angle.